So your in a pickle. Nothing is worse than accidentally locking yourself out of your own vehicle. Especially when it can be 115 degrees outside in the hot Arizona sun. Well no need to freak out. We have your back. Give Tow Tempe a call. We are your Car Lockout specialists. We can get you back in your vehicle and on your way without having to shatter your windows also!! Don't trust those who claim they can do it all. Contact your Tempe car lockout specialists. We know how to get the job done! So your ticked at yourself because you cant get in your own car. I think we've all made this mistake before. Don't call some expensive locksmith that ends up charging you a couple hundred dollars. Call Tow Tempe. We take our towing services to the next level and offer quick and professional lock out service and support. We will have your back in your car in no time so you can get to where you need to be. Maybe you didn't lock yourself out but for some reason your car or vehicle locks are not working. Well sometimes locks can malfunction on us. No problem. We will diagnose the lock on the vehicle and get you back in your car. 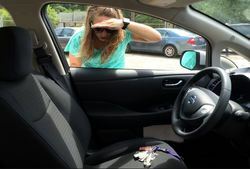 Car locks can malfunction due to weather, age and other outside elements, even vandalism. We are your lock diagnostic experts. Call Tow Tempe for all your lock out help needs. We know how to get you back in your car and on your way! In Arizona this can be a very common problem as well. You go to unlock your car and the key itself break off and your stuck wondering what to do. Well we can come and get you all fixed up. Key tend to break if the metal has eroded or is forced in a jammed or malfunctioned lock. This is not good because it leave you stranded and i need of a locksmith and in need of someone who can get you out of the Arizona heat. Let us take care of you broken key needs in Tempe. We can repair locks on cars and trucks and open your vehicle at any time of the day or night. We are your Tempe Lockout specialists!